Badgers Wood was constructed in 1937 on a large allotment that was sub-divided in 1977 to allow construction of another house, now called The Spinney. 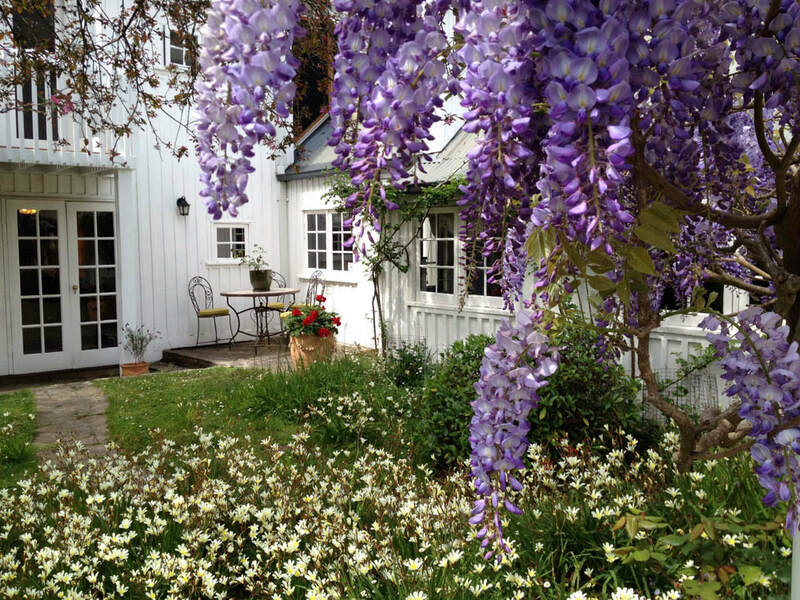 In 1980, the original cottage was substantially, but sympathetically, extended by the film producer Simon Wincer (The Man from Snowy River, The Cup). At the western end of the house significant elements of the original cottage and Edna Walling's 'signature' features have been retained - a high-pitched roof, a stone chimney and low-set windows, allowing the garden to be brought 'inside'. These elements continue through into the extension with the new lower level rooms being nestled into the garden. Throughout Badgers Wood local stone has been used extensively - for the front dry-stone wall, paths, steps and the pool surrounds, often softened with violets, forget-me-nots and babies-tears. 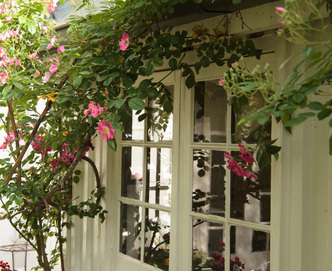 The garden exemplifies Edna Walling's use of mass and void, with the creation of garden rooms. 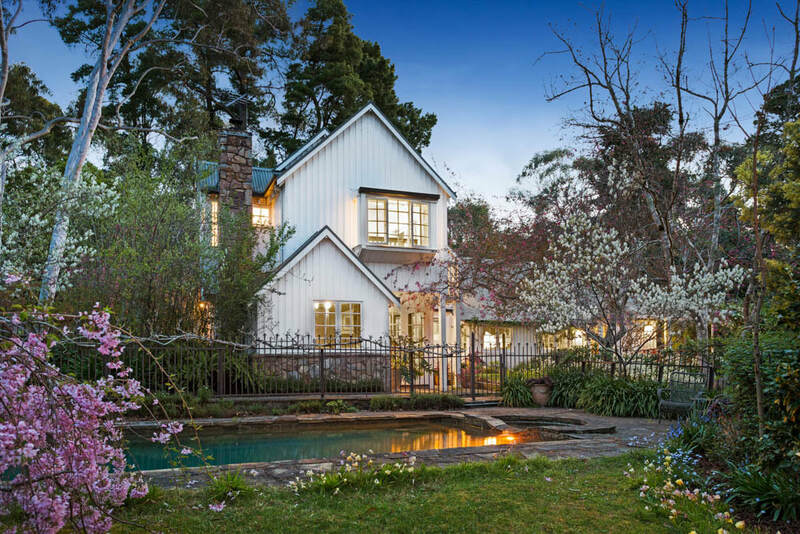 Significant trees include the well-established hawthorns at the front of the house, a large Golden Elm in the lower half of the garden, tall eucalypts and a Weeping Elm on the western side of the house. 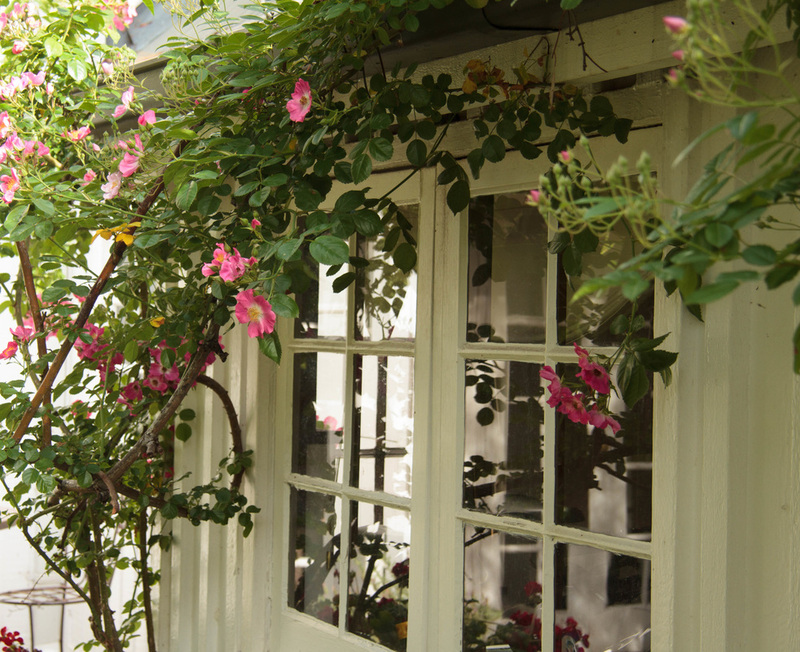 Lower/middle storey plants include japonica, viburnums, azaleas, hellebores, bulbs, camellias, roses, wintersweet and spirea. Anna & Mike are the previous custodians, who are working to keep alive Edna Walling's vision through the ongoing renewal of Badgers Wood. They have planted red maples, ornamental pears, crepe myrtles and chinese pistachios to bring more seasonal colour to the garden. ​This website seeks to document the history of Badgers Wood through photos and capture the changes that have been made to both the building and the gardens. If you have photos of Badgers Wood and would like to contribute to that history, please contact us using the link below.